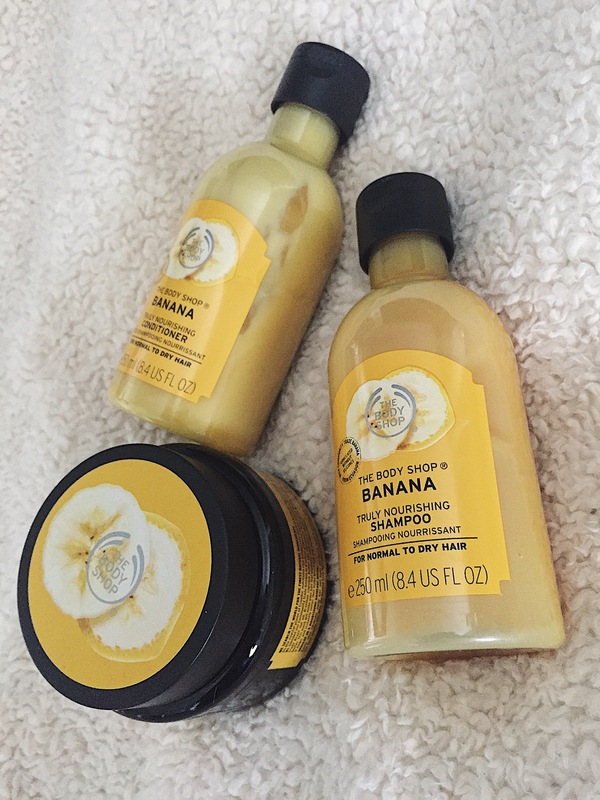 The Body Shop Banana Hair Range! 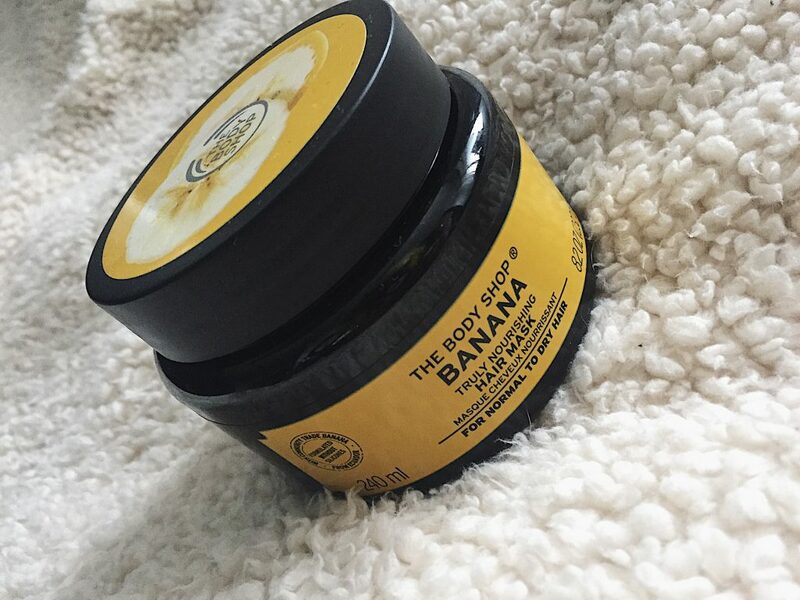 My mid-week post this week is on The Body Shops gorgeous banana hair range! It’s recently been re-packaged to look all fancy and new much like many of their other products and has a new addition in the form of a nourishing hair mask which I was DYING to try since hearing of its arrival. The banana hair range has always been a favourite for those with frizzy or dry hair because of how thick and beneficial it is, although not ever being as popular as it’s partner in crime ‘ginger shampoo’ which I’ve actually never tried but I know oh so many people love. The shampoo and conditioner are 100% vegetarian like all of The Body Shops other products but unfortunately not vegan because they do contain honey. The new mask is the vegan option which did surprise me as because it’s marketed as the most intensive of them all, I thought it’d be the most likely product to contain honey. Instead it contains brazilian cupuacu butter, cocoa butter, shea butter and brazil nut oil. From this, their recent break-up with L’oreal and inflated campaign against animal testing, I think we can all tell just where the brand is headed! All of the products contain organic banana pureé from Ecuador and are formulated without mineral oils or silicones. In all honesty, I could probably give or take the shampoo. The smell is absolutely gorgeous from the banana pureé and it has left my hair looking super shiny alongside the other products but I feel like the main reason for that was the more effective conditioners that smell the exact same! It’s definitely lovely for a treat and if you like keeping your hair regime in one range and it also goes a really long way but I don’t think I could justify the price tag on the regular. The conditioner was a different story for me, the formula is so unbelievably thick. You don’t have to use a lot at all because of this, just run a bit through the hair with your fingers. I don’t even bother doing all over personally as my ends are the parts of my hair that need the nourishment and I like to get as much use out of products as I can (doesn’t everyone!?). I would definitely recommend this for anyone who suffers with dry, dull or frizzy hair from day to day. It’s really helped both mine and my mums hair massively in such a short space of time. As a once a week treatment, this is fabulous. With all the different types of creamy butters in it, it’s bound to give your hair a massive boost whatever kind of state it’s in. I’d even recommend leaving it in overnight as it doesn’t feel like one that would have the tendency to make the hair oily at all, just very shiny and revitalised. Even though it is quite pricey, you can often find codes on voucher cloud where you can get money off so you’ll never be paying full price for such a fabulous product. Hope you enjoyed my first post on the new self-hosted site! It’s been quite an exciting week for me and the blog, I won’t ramble on about it on here as I have enough all over my social medias, haha! Links are here for Twitter, Instagram and Facebook if you don’t follow me already! What’s your MUST-HAVE hair product for keeping yours shiny and volumous? I’d love to know! Trying Out Magnetic Eyes Sass Lashes! "The Museum of Witchcraft and Magic!" "Bomb Cosmetics Bomb New Products!" Oh I would love to try this range, I have incredibly thick, long and frizz prone hair. The mask in particular is one I want to give a go! You will love it with that kind of hair, it’s a game changer! These products sound so amazing! I have dyed blonde hair so it’s kind of damaged (and so is my skin haha), I’ll have to get stuck into body shop and see what I can find as it’s becoming more and more popular! I want to try the mask ASAP! I feel like my hair is dying for moisture right about now! Although, I don’t deep condition as much as I probably should! I love the banana shampoo haven’t used the other products yet tho will have to look into those. The conditioners are the best, you need to try them! I’m definitely going to have to try this out!! My hair breaks so darn easily! It could use a a great treatment! I am a product junkie. I love trying new products. This sounds so amazing. I’d love to try this one day. I’ve heard a lot of good thing about this range! I’m not sure whether to get it because I’m not keen on banana scented products! I love how nourishing the conditioner sounds though, I’ll have to pop into a store and see if I like the scent! This is so good to know! I only ever use frizz ease because my hair is mad frizzy and everything else i’ve tried makes it furious with me. Good to know i can actually try something else for once! 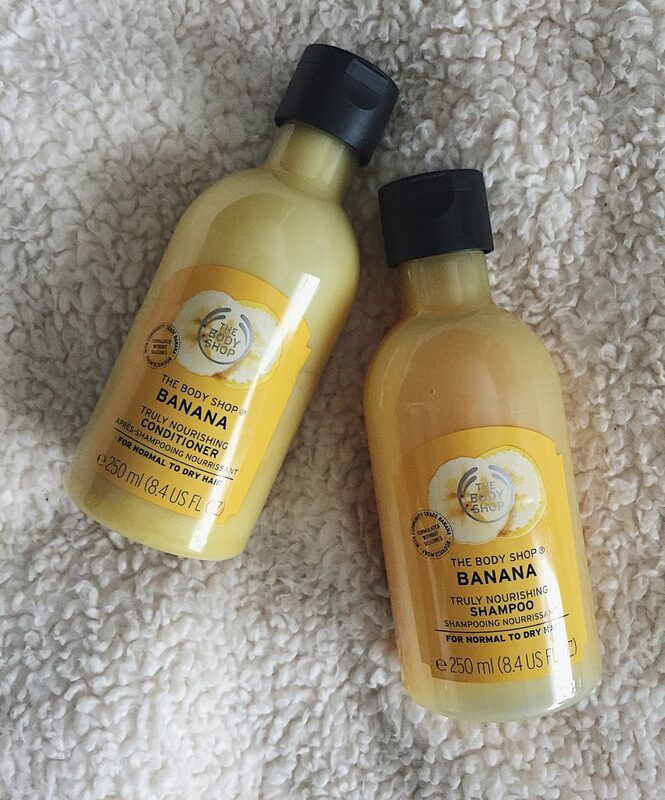 I’m obsessed with the smell of banana products – I currently have a banana shower gel at my boyfriends that I adore! These look and sound absolutely amazing, I really need to try some Body Shop products out! ?